This 6-occupant machine achieves driver and passenger comfort with a class leading 115.6" wheelbase that smooths the ride and allows for best-in-class interior space. 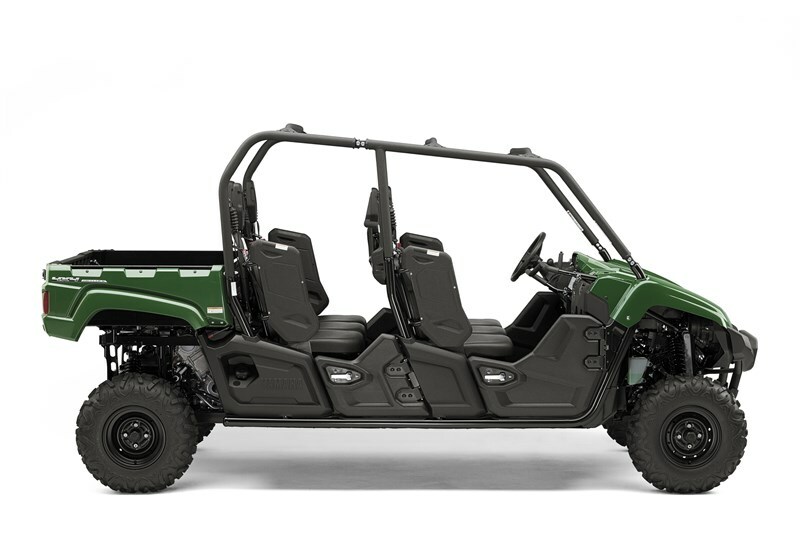 Both front and rear center seats are offset, as are the middle headrests, allowing for unmatched middle passenger comfort and convenience. All passengers have a 3-point seatbelt for riding comfort. 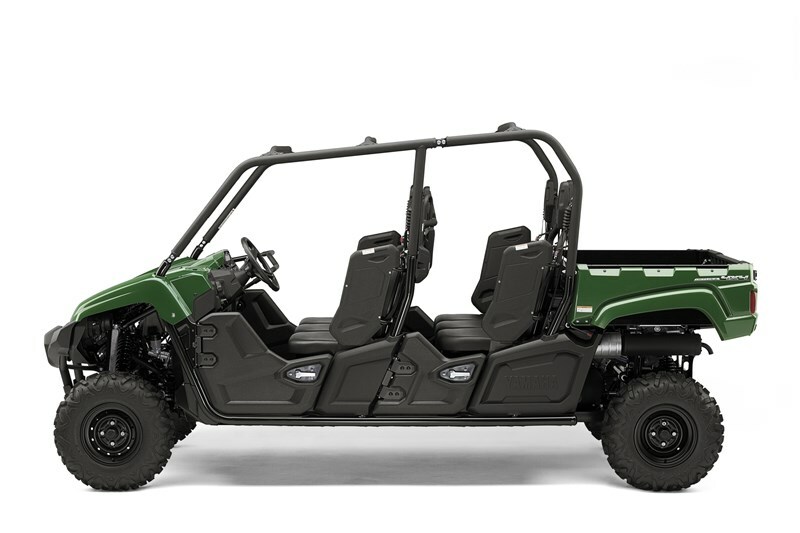 Front and rear passengers also have the convenience of an integrated handhold with hand-cushions that enhance comfort. 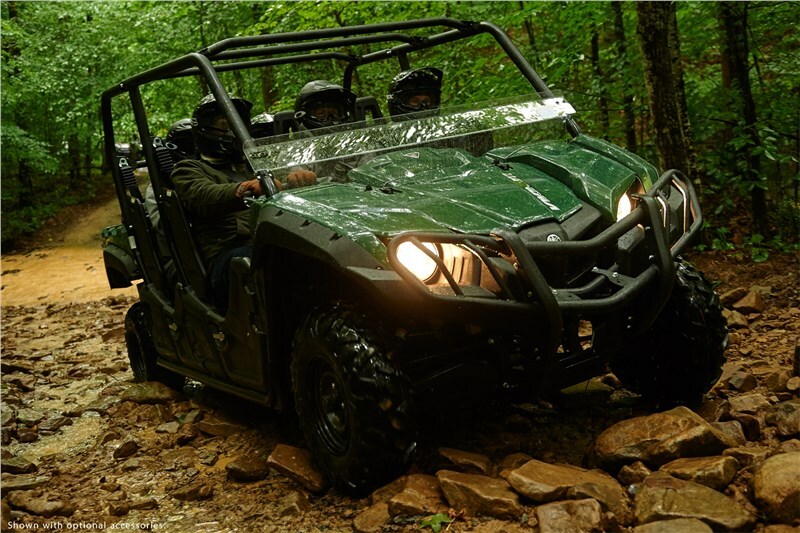 The Viking VI EPS is ready to conquer whatever comes its way with a powerful 686cc, liquid-cooled, fuel injected, SOHC power plant. 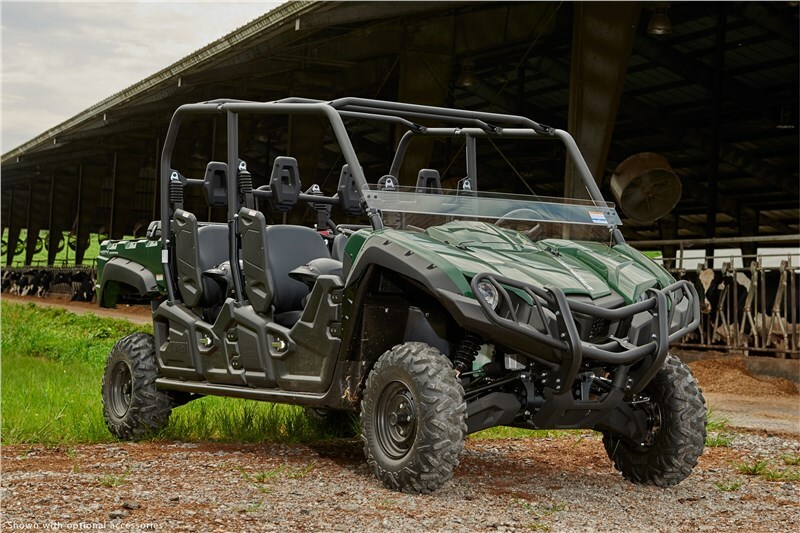 This engine produces strong low-end acceleration and pulls hard through the rpm range to deliver excellent power for getting the job done or when hitting the trails. 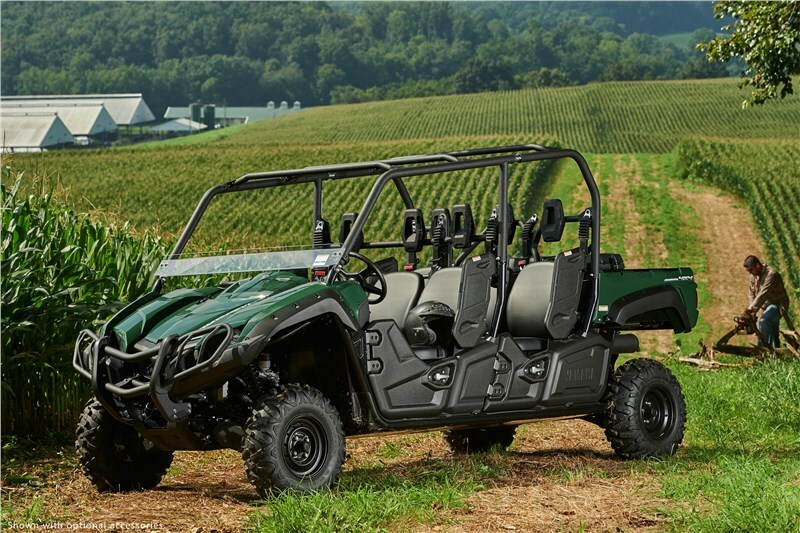 New rubber damper plates, a more rigid chassis, additional sound damping material and an all-new cylinder head mount reduce vibration and quiet the cabin for a more relaxing ride quality at all engine speeds. New stiffer cargo box further reduces noise and vibration inside the cabin, while the cargo bed rails now incorporate mounting points to make adding genuine Yamaha accessories that much easier. 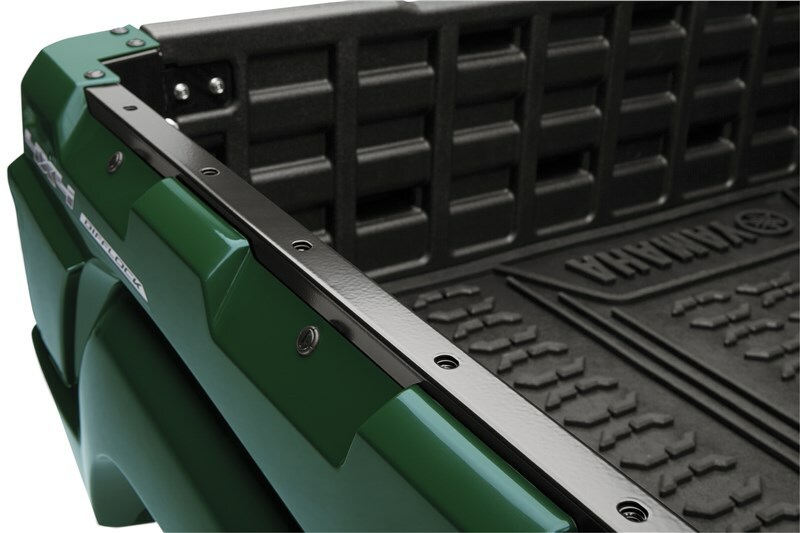 A rubber cargo bed mat is included to further reduce noise and vibration while improving durability. New automotive-style two-stage door latches are fitted, and inside the cabin, a new parking brake warning buzzer warns the driver if the vehicle is driven while the brake is engaged. 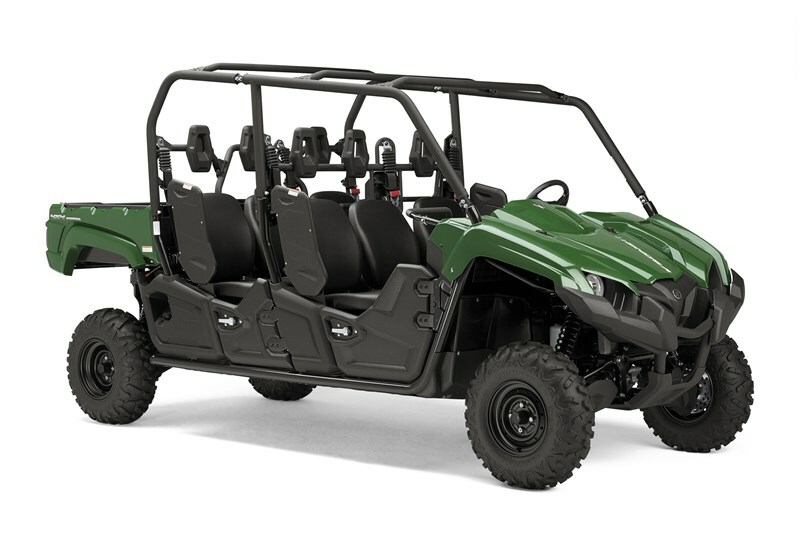 The Viking VI EPS is equipped with Yamaha’s powerful 686cc engine with a broad, usable powerband. Liquid-cooling provides consistent performance, a four-valve head with 10.0:1 compression delivers optimum torque for virtually any workload, and up to a 30% gain in fuel efficiency compared to comparable two-valve designs. Large-capacity air intake system contributes to the engine’s overall power development. Air injection system burns the un-combusted elements in the exhaust, resulting in even further reduced emissions. 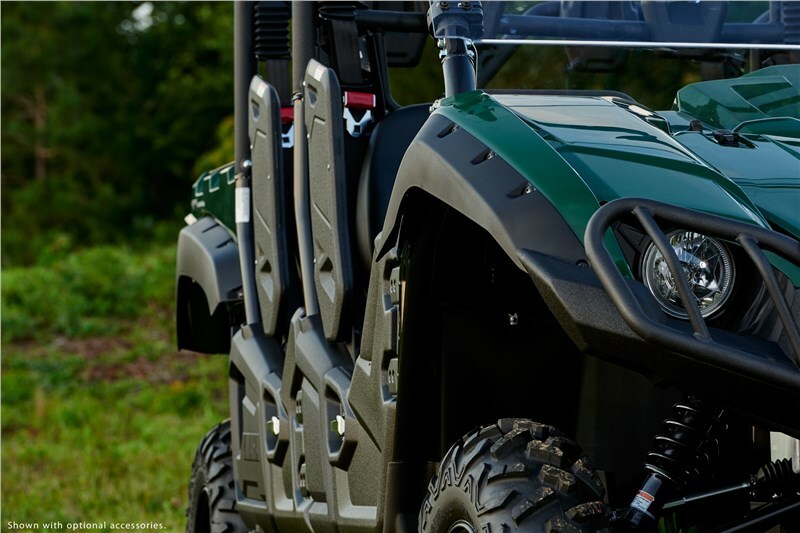 Convenient dash-mounted gated shift lever (L/H/N/R) provides simple Ultramatic transmission operation. 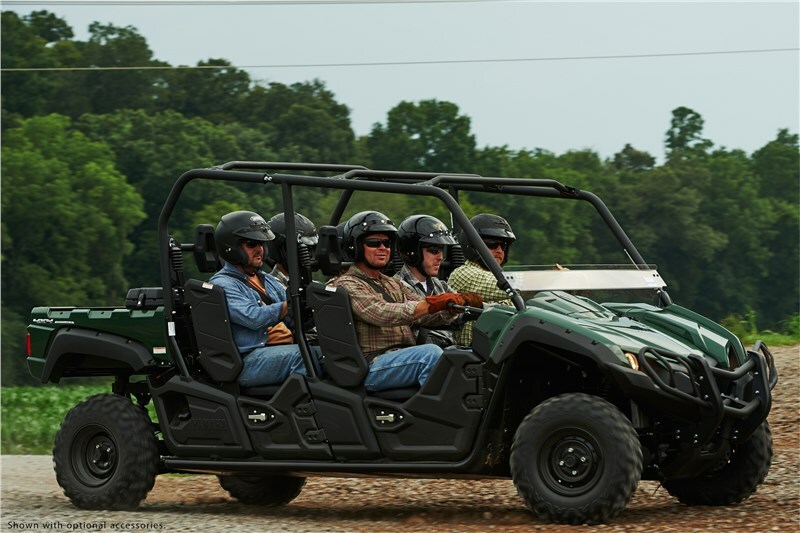 Yamaha’s proven electric power steering system on the Viking VI EPS offers excellent handling over all kinds of terrain, with lower steering effort for reduced fatigue after a long day in the field. 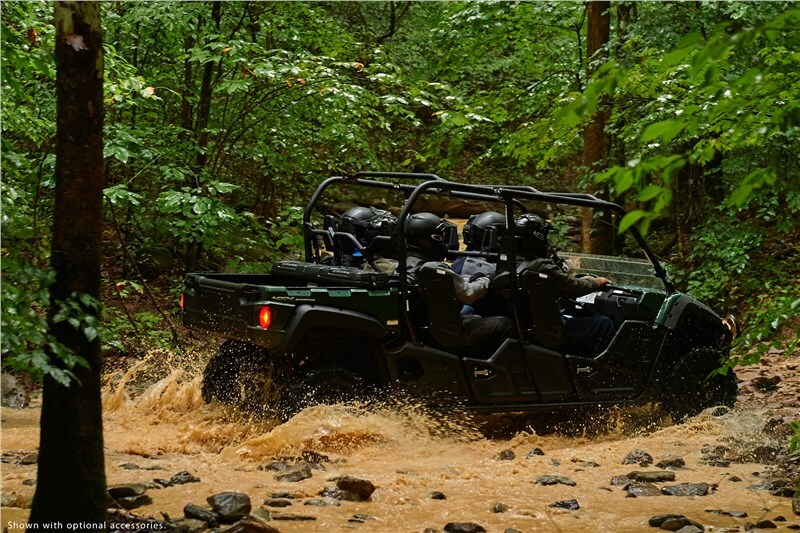 A maximum 11.4-inch ground clearance delivers underbelly protection while enhancing terrainability. The Viking VI EPS's width also helps minimize 30” row crop damage. Large diameter front and rear wheel disc brakes provide unsurpassed stopping power, and the dash-mounted parking brake is simple and convenient to use, with a new buzzer to notify the driver if the parking brake is accidentally left engaged. 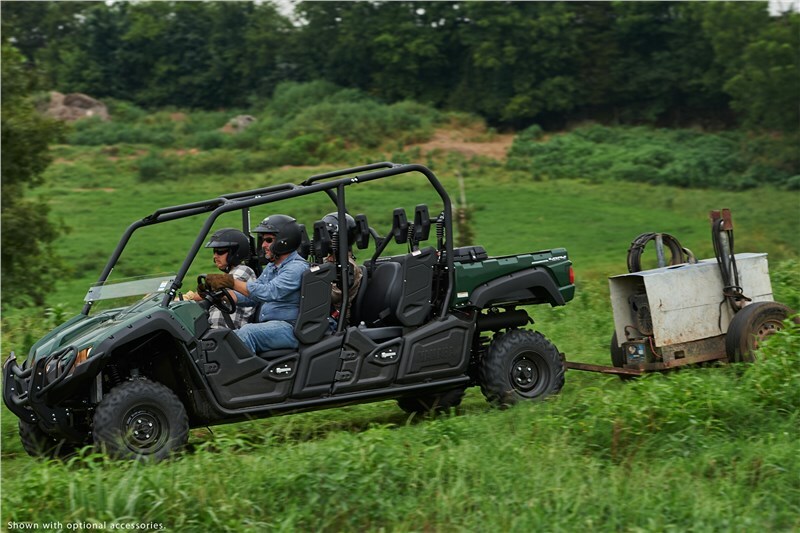 Standard center-mounted, heavy-duty 2-inch receiver-style hitch can tow up to 1500 pounds. 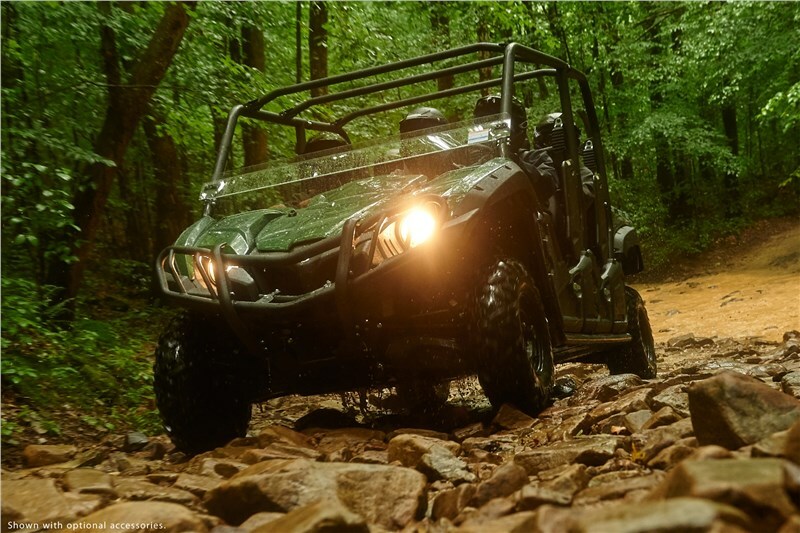 Tough, rotomolded doors help keep mud, water and dirt on the trail where they belong, with robust automotive latches for years of reliable service. Stamped steel dump bed is rated to haul 600 pounds of gear. 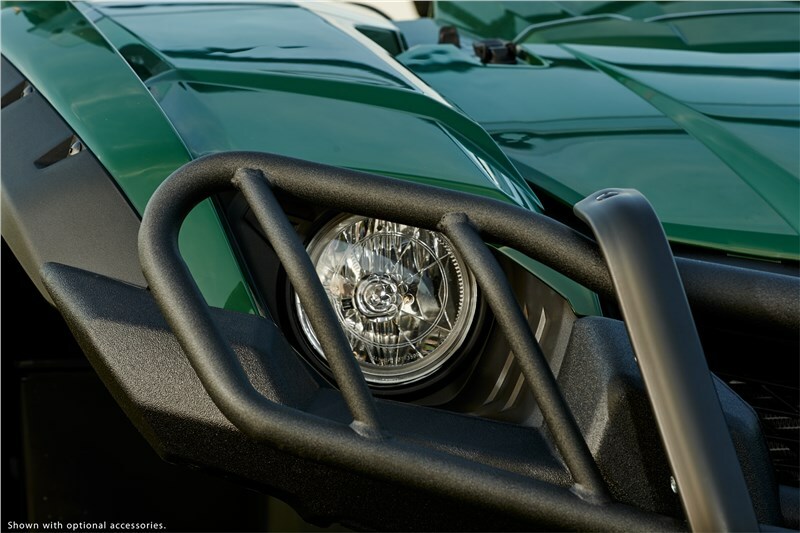 In the bed are four tie-down hooks to help make sure cargo is strapped down securely. 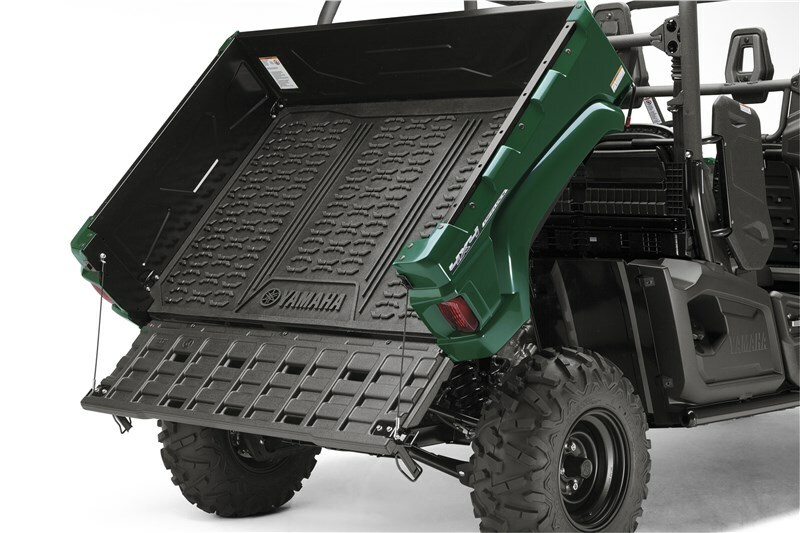 The cargo bed can be unlatched and tilted from either side when needed, with dual lift assists for ease of unloading cargo. New for 2016, the cargo bed rail now has integrated mounting points to make installing genuine Yamaha accessories that much easier. 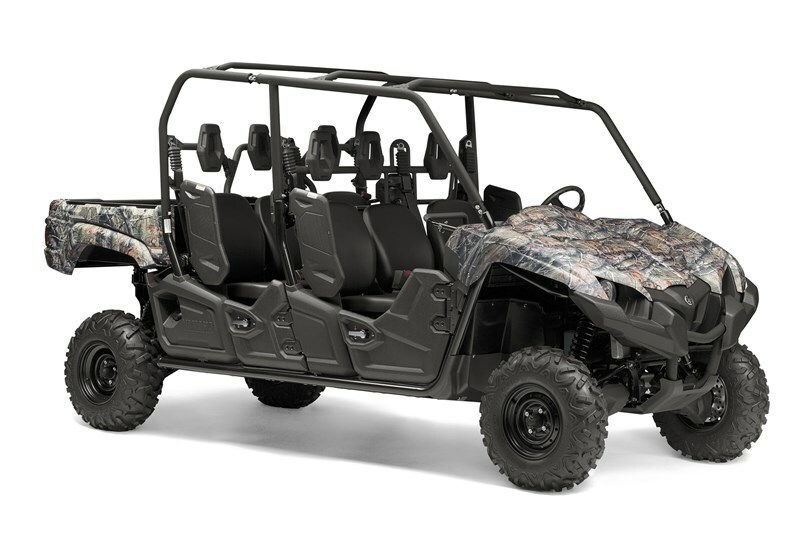 The engine is located under the cargo bed and can be easily accessed when the bed is lifted. 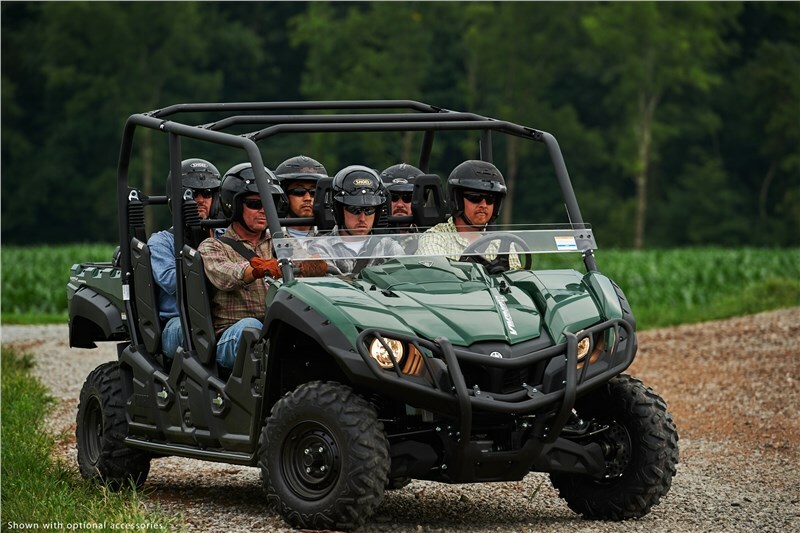 Center hood access for battery and other electrical components eases maintenance. Under-seat, tool-free air filter is a snap to service. 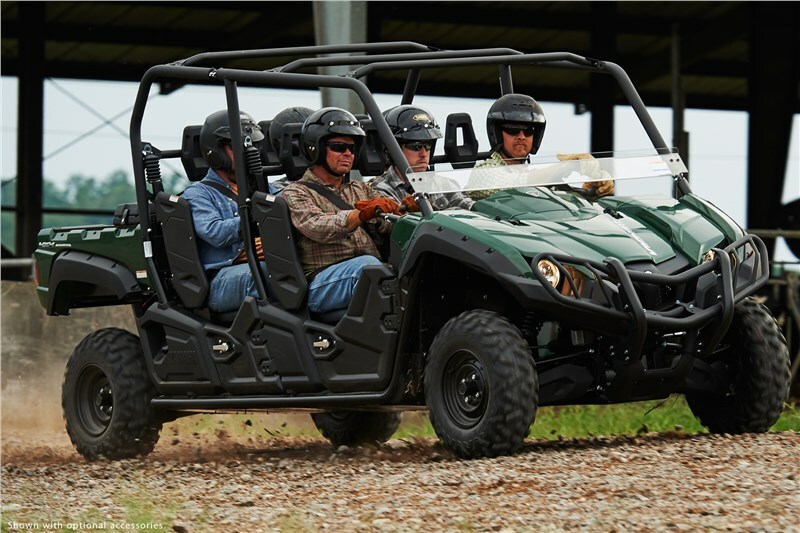 Padded head rests are included and the middle seat is set back for both driver and passenger comfort. 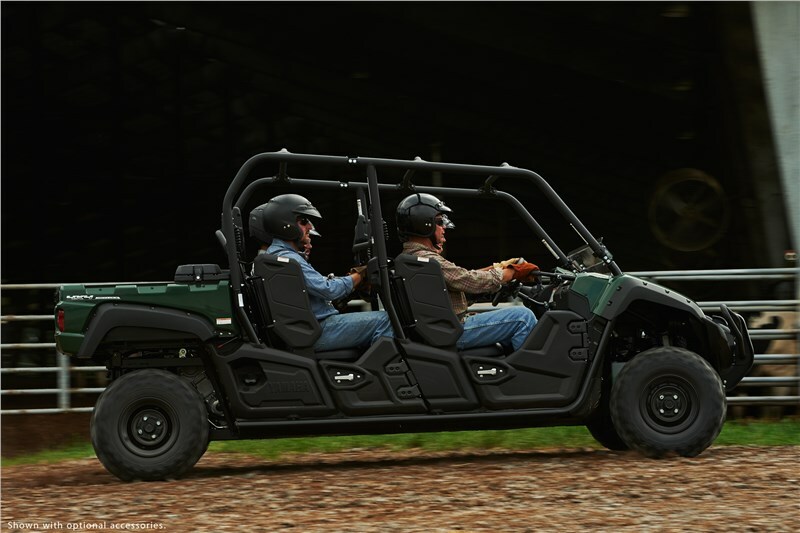 The pass-through floor provides onboard ease of movement for getting in and out of the vehicle from either side. Digital instrument panel boasts multifunction LCD display with speedometer, odometer, dual trip meters, hour meter, 4WD status, transmission position, clock and a fuel gauge. 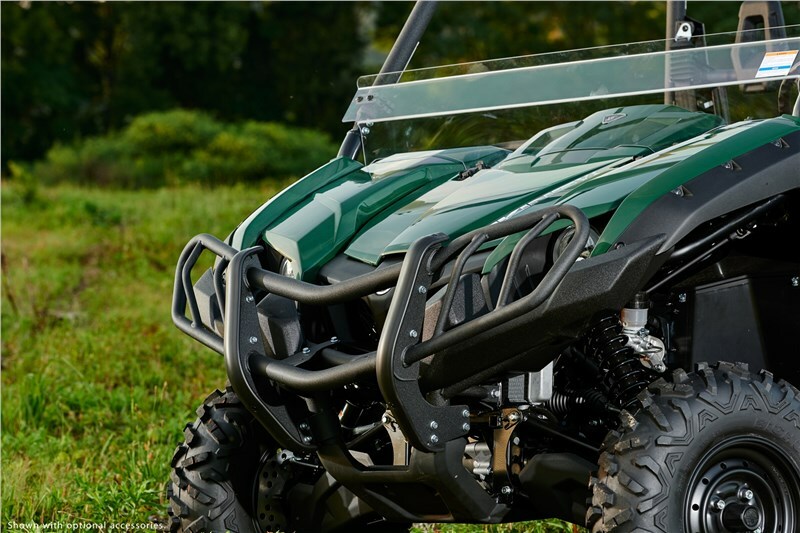 Steel skid plate under the frame provides protection from rocks and ruts and helps prevent the Viking VI EPS from getting stuck. A new welded rear skid plate improves slideability ever more. A latching glove box is included to store smaller items such as cell phones, wallets, etc. 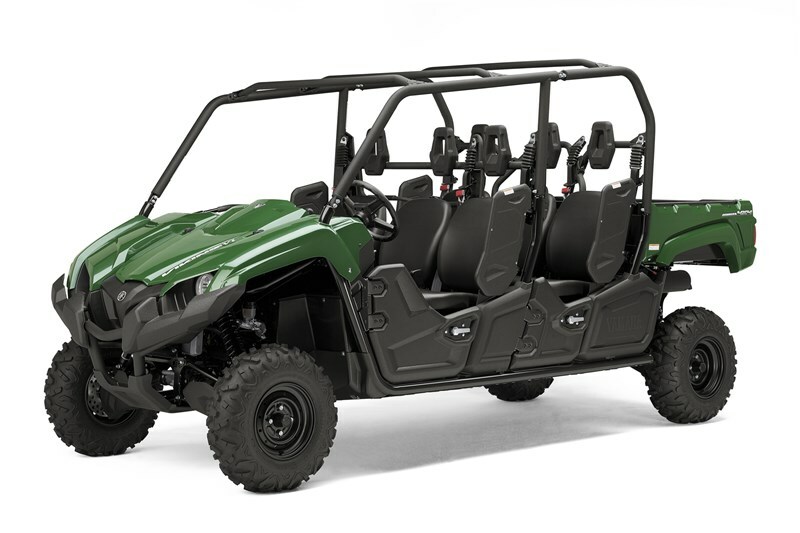 The Viking VI EPS is also equipped with eight cup holders for passenger comfort. New rubber cargo bed mat further reduces noise and vibration while improving durability and providing extra holding power for cargo. 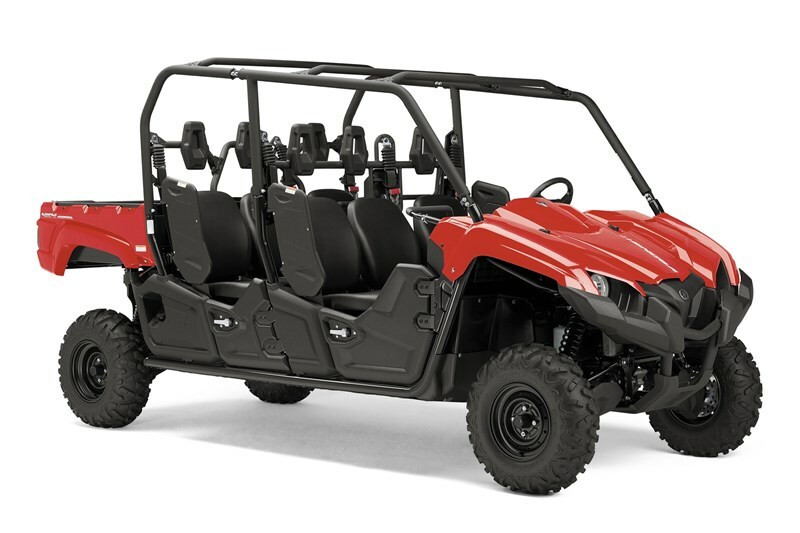 Large, 9.7-gallon fuel tank allows for long rides. 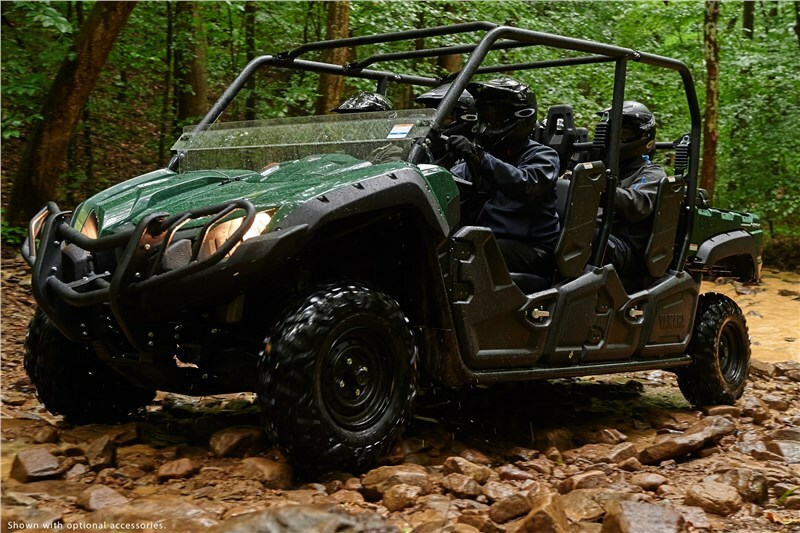 Proudly built Real World Tough™ and assembled in Newnan, GA, U.S.A.